ABC's Valentine's Day 2017 Schedule Is Here! Love is in the air as ABC celebrates Valentine's Day 2017! Get ready for some heartwarming specials, laugh-filled new episodes and many more special treats during the month of February. 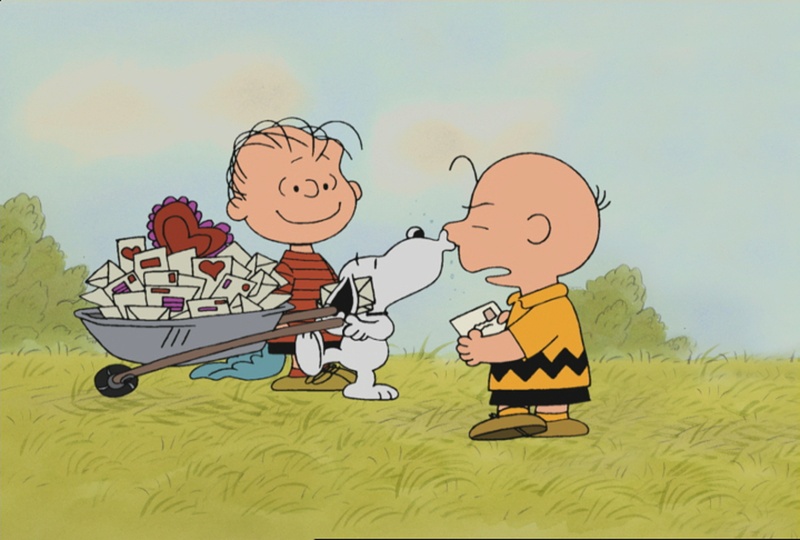 Yes, love is all around when classic Charlie Brown specials, ABC's comedies, General Hospital and The Chew celebrate the most romantic time of the year, Valentine's Day. Below are highlights of specials and episodes scheduled for February. All times are EST. Be sure to watch 'em all with someone you love or at least someone you like a lot! But first, check out these memorable romantic moments from Modern Family! Fresh Off the Boat – "Neighbors with Attitude" – Jessica is disappointed to learn that she is excluded from the Neighborhood Watch, because she has the reputation of not being a team player. But when Ann's son goes missing, Jessica proves that her independent security measures work better than everyone else's. Meanwhile, Eddie sets the stage for the perfect first kiss with Alison, on a special Valentine's Day-themed episode. Courtney Thorne-Smith ("Melrose Place") guest stars as Ann. (9:00–9:30 p.m.).